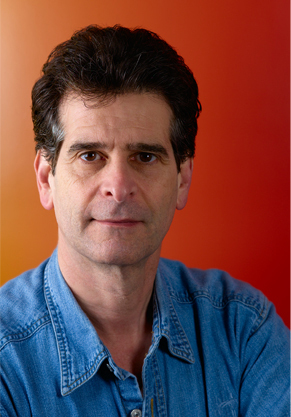 For those of you who don't know Dean Kamen, you're in for a treat. For those of you that do: I hope I can still delight and surprise you with some things you may not know. Born on Long Island in Rockville Center, Kamen's father, Jack was an illustrator for the iconic, famously funny Mad magazine. For our parents, Mad seemed silly and stupid; but for many of my generation Mad was a brilliantly-staged, full-time parody of life. "My father spent his entire early career as an illustrator for comic books, EC Comics like Tales from the Crypt and Creepshow then moving on to such magazines as Mad and Weird Science," Kamen remembered, "he got up in the morning and tried to create something people would like. I do the same thing." I wondered if Kamen's father had been the key imagination-stimulator for young Dean; if his father's creative activities in illustration rubbed off on the younger Kamen. Kamen shook his head yes emphatically, smiling. "Yes, it did come from my father but not from his work," Dean said reflecting back on childhood memories of his father who died last year. "He used to tell me when I asked him to play outside with me like the other fathers would after work in the twilight suburban Long Island street, 'I'm you father, not your friend.' We lived in a little tract house like everybody did not too long after World War II, and in the morning he got on a Long Island railroad train and went to work. Then in the evening, he'd get back on the train and come home." But when Jack Kamen came home it wasn't to relax and play with the kids, as Dean said, "he came home and always went right back to work." "One summer evening," Kamen summoned up, "he was sitting at his easel working just like he always was while all the fathers were playing catch with their children and I had a question for him. 'All the other fathers are finished working when they come home and you're not. Why can't we play together like all the other fathers and sons?'" "Well, my father put down his brush and said to me, 'Dean, don't ever feel sorry for me; you're right, these fathers are done with work. But Dean, I don't have a job, my artwork is my hobby, not just a job. If you can find something you love to do, you'll be very lucky and that's what I want for you. Go find something you love and you'll have a happy, successful life.' I decided right then and there that I didn't like school; I didn't like being judged. I liked thinking. And, I'm going to do something unique and different." It was an amazing experience to ask a question and get a 'right-on' answer which showed that the subject already had thought about this and knew the answer. Though he'd never been asked about it, Kamen had clearly prepared to answer this question about his father. In school, Kamen took an interest in science; started reading Newton's Principia on his own and took a strongly anti-authoritarian posture even "heckling" his science teacher mercilessly. Asked who the three people he would've liked to have met through history, Kamen didn't hesitate. "Archimedes, Leonardo and Galileo," he said. "The definition of a 'change agent' is someone who is saying something that everybody else says is crazy," Kamen said as I was thinking he was talking about himself; he wasn't, he was talking about Galileo. Dean Kamen is a passionate man; whether it's due to nature or nurture is unknown. His passions include aviation, he owns and flies two helicopters and a jet; and he's obsessed "with supplying clean water and clean air to the developing world." Does this guy ever think about anything trivial or mundane like his shopping list or when he will pick-up his laundry? Kamen then went on to tell me about his friend, Guy Laliberte, the Cirque du Soleil founder who gave $100 million of his own money to start his One Drop Foundation. So Kamen is truly connected to a network trying to improve the world. When I asked him to try and predict the future, he said, "I think the odd thing is that anybody who's tried to predict the future has failed. Most things--according to Shakespeare--are 'boy meets girl' and they fall in love, that's till true today. However, the only thing that changes is Technology." Though he is quick to point out the pitfalls, Kamen loves talking about the future. "The future is going to require really smart people," he said dramatically, "what we think are crises today, probably will be no big deal and we have no idea what will really be crises in the future. The next crisis we're currently unaware of is going to come and eat our lunch--we're in an a race between mastering technology and using increasingly scarce resources. Americans thinking that America will continue to lead the world in innovation and quality of life without some quick and serious educational improvements are dangerously delusional." Good point; I'm glad somebody is thinking about these things. I've always thought of Dean as a MacGyver-type character--you know, the kind of guy you'd want around to invent different cool gadgets to help you get away from the bad guys, the villains in hot pursuit. He might invent a portable dialysis machine or an all-terrain motorized wheelchair or a drug infusion/insulin pump or a water purification system or an air-powered, springboard type device to allow humans to 'jump' to the top of tall buildings in a single bound. Yes, Kamen might do all of these things--and this is not imaginary on my part--because Kamen really has invented all of these things. Here's a guy who never graduated from college and always took great glee in upstaging professors and those in authority. But he's no class clown; you see, Dean owns more than 440 U.S. and foreign patents. Kamen's "Jobsian" uniform is well-worn denim shirt, jeans and scuffed work boots; everything about this enigmatic man is well-worn. His appearance aside, he's more likely to give you a calculus question than to invite you for a beer at the local watering hole. And in perfect harmonization, his lifestyle supports his wildly creative personality. 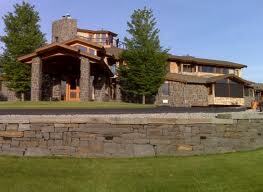 Kamen lives in a hexagonal-shaped mansion on a New Hampshire island that seems an inventor's paradise. 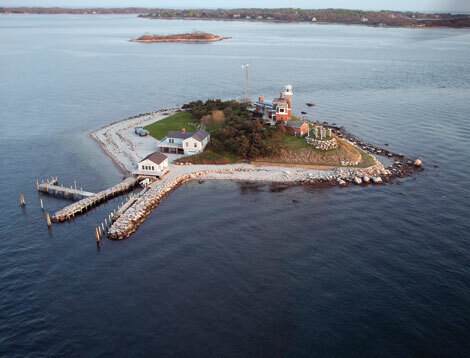 With a windmill, two helicopters that Kamen personally pilots and numerous labs, "playgrounds" and other inspiring rooms, this house seems the perfect contradiction of "no man is an island." Clearly here, Kamen is an island. In his early 20's, Dean began work on his first invention, the AutoSyringe, the first drug infusion pump. This first effort was proved wildly successful as evidenced by the 1982 selling of AutoSyringe to Baxter Healthcare Corporation. Kamen started his holding company for inventions, DEKA Research at age 30. "DEKA is an IP development company that invents technology and licenses inventions," he said. A series of medical inventions by Dean followed like machine-gun fire including the world's first portable dialysis machine (sold to Baxter Healthcare, again); one for the treatment of T-Cell Lymphoma; pap tests; a high-tech prosthetic arm he developed for DARPA (Defense Advanced Research Projects Agency) for returning soldiers; a surgical irrigation pump; and two important stents (acquired by Johnson & Johnson) for heart surgery. These inventions left him wealthy. 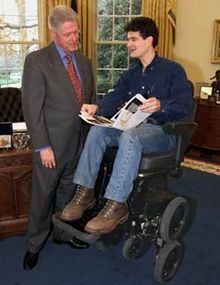 He was still bursting with ideas or at least one more big idea: Segway. When Kamen unveiled the Segway it was to as eagerly anticipating an audience as can be seen in America or the world for that matter. The marketing involved was massive and the mystique implied immense. Prior to when it was unveiled in December of 2001, there were vague "this will change the world" references before anybody knew what the heck "it" was. Steve Jobs and Jeff Bezos were shown early prototypes and invested immediately with rare (for them) excitement. John Doerr, the Silicon Valley' venture capitalist invested to the hilt and said that Segway would "grow to a billion dollars in sales faster than any company in history." In Segway, Doerr made the largest investment--$38 million--that his firm, Kleiner Perkins had ever made and at an absurdly low equity participation (nobody will confirm but it was certainly in the area of 5%). This decision would seem to be a colossal Doerr' error in judgment in an otherwise 'Midas touch' career. How could all these supposed geniuses be so wrong that Segway would eventually end up an article on the Time Magazine' "50 Worst Inventions" list? The mechanics of the Segway breakdown are too complicated and numerous to list here. A Wired article by Gary Rivlin dissects the disaster beautifully. But one central problem: the disconnect between the idea that the Segway would take over the sidewalks and laws preventing that from happening. Regardless of the distressing outcome of the Segway, I have to give a tip of the hat to Kamen; he invented a great product with the best of intentions for the environment, government/business and society at large ... a real triple-play. The fact that it didn't quite work out is not his fault entirely, if at all. But I could only get the feeling as I talked to Kamen, that he really didn't care that the Segway never had its intended effect on society; he was on to other things. And quickly too. "Other things" such as his passionate founding and continued focus on FIRST (For Inspiration and Recognition of Science & Technology). "You have teenagers thinking they're going to make millions as NBA stars," Dean said, "when that's not realistic for even 1 percent of them. Becoming a scientist or engineer is." This the end of Part One. Part Two will cover Dean Kamen's passion for FIRST his non-profit designed to educate and stimulate American children to get more involved in science, math and creating things.